Step 1: Treat your business independently. One of the hardest things to do when you have a home business is to treat your business expenses separately from your home expense. You may be tempted to use your credit card to purchase materials for your business while you are at the grocery or office supply store. It’s important to keep your home and business expenses separate, so you can keep accurate records for both your home business and your personal expenses. Step 2: Make a plan and stick to it. Perhaps the best way to lessen your credit card debt while running your home business is to make a detailed plan of how you intend to pay off your debts. Analyze your business dealings, income, revenues, expenses, home expenses, and personal expenses to get a clear picture of what you can do to help your situation. You may be able to set aside a portion of your income specifically for paying off some of your debts. Try to set a timeline and some goals as to how much of your debt you should be able to pay off by a certain date. Remember, you can also help the situation by making some adjustments to your spending habits. 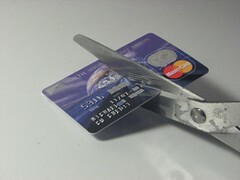 The less you spend, the more money you have for lessening your credit card debts. Step 3: Manage your finances well. It can be hard to manage your finances, your business, and your household, but if you take some time to organize your schedule, budget, expenses, and to-do list, you can definitely achieve success in lowering your debt and increasing your business performance. Try achieving small goals, like using your credit card less or stepping up the effectiveness of your business. By practicing good management skills, you can easily get your finances and your business back on track in no time. Just remember that once you are able to clear your debt, you should take the proper precautions not to fall back into debt again. Credit or Credit Card Debt is so common nowadays, even for people who are working full-time and have good incomes. But for those who are working at home, they might think that they have the luxury of using their credit card in order to purchase items for their planned business and at the same time, use the money for daily needs. This actually is a bad idea, and if you are not educated at the right time (as in now), you’ll be seeing yourself a few months from now with credit card debts threatening your properties and endangering your financial flexibility. As always, a plan is a must in order to keep things more organized and well-synchronized like a well-oiled machine. And make sure that you are able to pay what you owe, so that your records aren’t affected adversely. I once attended a seminar about managing finances back in the year 2005. We were told that we should not use our credit card unless it is an emergency e.g. hospitalization. Other than that, it should not be used to buy things for our daily consumption. Credit card is a temptation to purchase anything we like even if we don’t have the money at hand. Before we purchase anything other than a necessity, we should always take into consideration if we have spare money for that kind of stuff. The key is to discipline ourselves not to use our credit card at all times, especially if you’re running a business. We, people, have a tendency to spend more than we can actually earn.